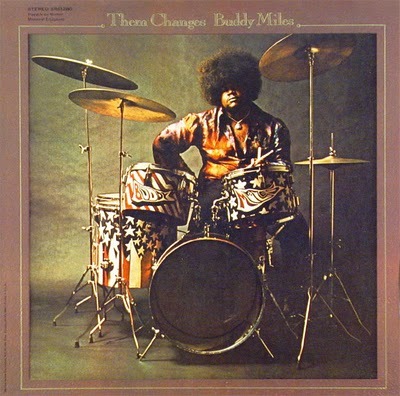 Front cover of the Buddy Miles classic album Them Changes. Both title track and album cover image are long time favorites. Buddy Miles "performs" his wicked fuzz infused classic Them Changes with introduction by the one and only Hugh Hefner... CRAZY. 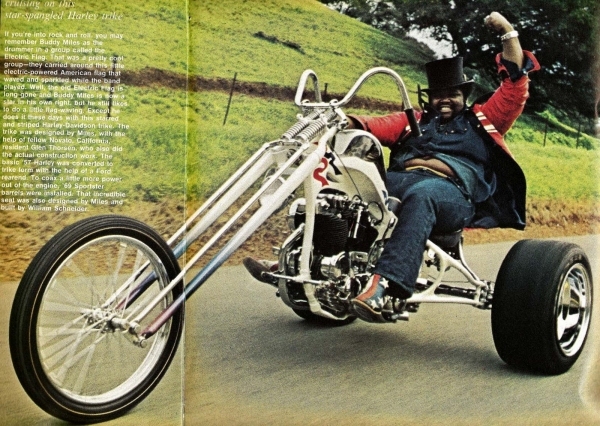 Buddy Miles Harley Davidson Chopper Trike via The Selvedge Yard where a you can find a great piece on the funky drummer. R.I.P. Buddy Miles, Abdul Mati Klarwein & Miles Davis . Props to Olivia at THE BIG MAMA INTROSPECTION for knowing what time it is. Check out her nice work.